Srinagar Kitty was born on 8th July 1977 in Bangalore, Karnataka, India. His birth name is Krishna but he prefers to use Srinagar Kitty as his screen name. He is the youngest child of his parents. Kitty started his acting career as a Child artist in TV shows like Malanadina Chitragalu, Kandana Kavya, Doddamane etc. After completion of his education he started his career with TV shows on Udaya, Suvarna etc, mojor TV shows are Chandrika, Ananda Sagara, Preethigagi, Mane Mane Kathe etc. 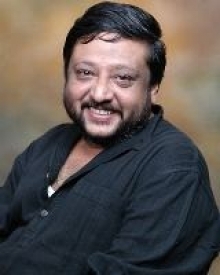 His movie debut was with Chandra Chakori in 2003 opposite Sri Murali, Priya, Doddanna and Naaz as a villain. Srinagar Kitty later went on to act in several movies in negative roles. His debut in lead role as hero was with Giri in 2005 but the film failed in box office. His first successful film was Inthi Ninna Preethiya in 2008 opposite Bhavana, Rangayana Raghu and Pawan Kumar. His next blockbuster hit was Sanju Weds Geetha 2011 alongside Ramya, Avinash and Suhasini Maniratnam. He later worked for super hit multi starrer film Hudugaru in 2011 opposite Puneet Rajkumar, Yogesh, Srinagar Kitty and Radhika Pandit. He also became a singer after singing “Simple Preethige” song for his film Bahuparak in 2014. Srinagar Kitty is married to TV producer Bhavana Belagere and the couple have a daughter named Parinitha. His father in law Ravi Belagere is a popular writer, journalist, novelist and actor of Karnataka, India. He owns Kannada tabloid Hi Bangalore. He started Prarthana education society in 2002 to educate poor students. At present they are 6500 students and 275 teachers serving the school. 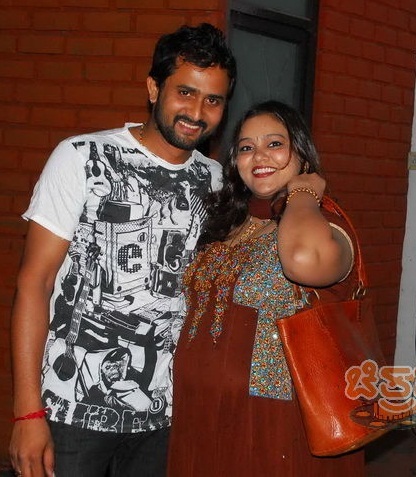 Ravi Belagere is married to Lalitha and the couple have a daughter named Bhavana Belegere.